While we may not want to admit it winter is nearly here. That means that the temperature will continue to drop leading to more and more hazardous road conditions such as ice and snow. Not only are these types of conditions inconvenient but they are also extremely dangerous if you do not take the proper precautions. 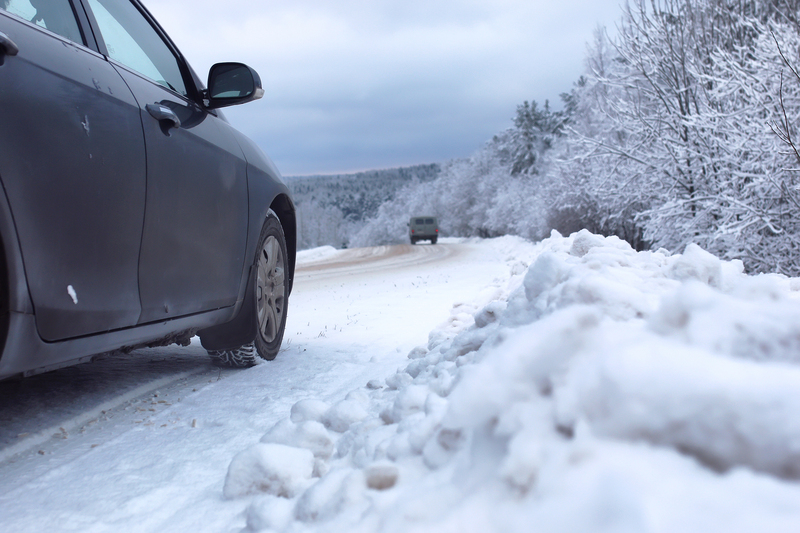 In order to make sure that all of our customers travel safely this winter we would like to share a list of a few winter driving safety tips that you should be sure to keep in mind over the next few months. We have the first half of the list below and be sure to look out for the second half in our next blog. 1.) Avoid Drowsy Driving – Studies have shown that drowsy driving is just as dangerous as driving drunk, In fact, according to the National Highway Traffic Safety Administration (NHTSA) over 100,000 accidents each year are caused by drowsy driving. The winter tends to make us more tired due to the colder temperatures and shorter days so make sure that you are well rested before you get behind the wheel during this time of year. 2.) Be Careful With Pre-Starting – We know that there is nothing worse on a cold morning than getting into a freezing cold car that does not warm up until you are nearly at your destination. Therefore, pre-starting your vehicle is a common occurrence especially with the increased popularity of remote car starters. However, always remember to pull your vehicle out of the garage BEFORE you turn the car on and leave it running. Carbon Monoxide is the silent killer that claims lives each year because people make the mistake of starting their vehicles while they are still in an enclosed space. 3.) Check Tire Pressure – The cold weather will cause the tire pressure to drop as the cold air causes the tires to contract. Driving on underinflated tires is dangerous, especially during the winter when you really need that extra traction and control. Be sure to periodically check the tire pressure on all four tires and make sure to fill them up as quickly as possible if that “Check Tire Pressure” light comes on. 4.) Stay On Top of Gas Level – You tend to use gas more quickly in the winter since you will be turning on the heat which burns gas. Always try to make sure that you keep your gas tank at least half full at all times throughout the winter for both safety and convenience. In case you should ever get stranded you will want to make sure that you have enough heat to keep you warm until help arrives. Also, you never know what kind of delays you will hit in the winter and you never want to worry about running out of gas.